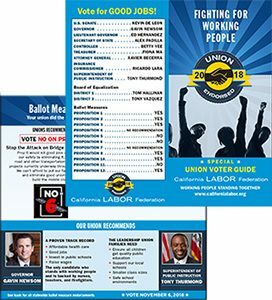 Materials to help your union prepare for the 2018 Election year! 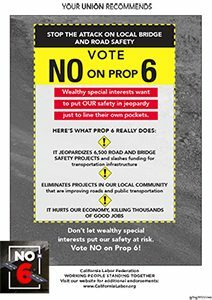 No on Prop 6 flyer available here. Yes on Prop 10 flyer available here. 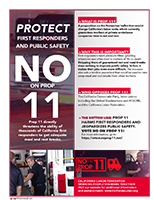 No on Prop 11 flyer available here. 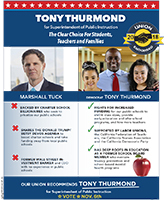 Tony Thurmond for Superintendent of Instruction flyer available here.